Figure 4-5. 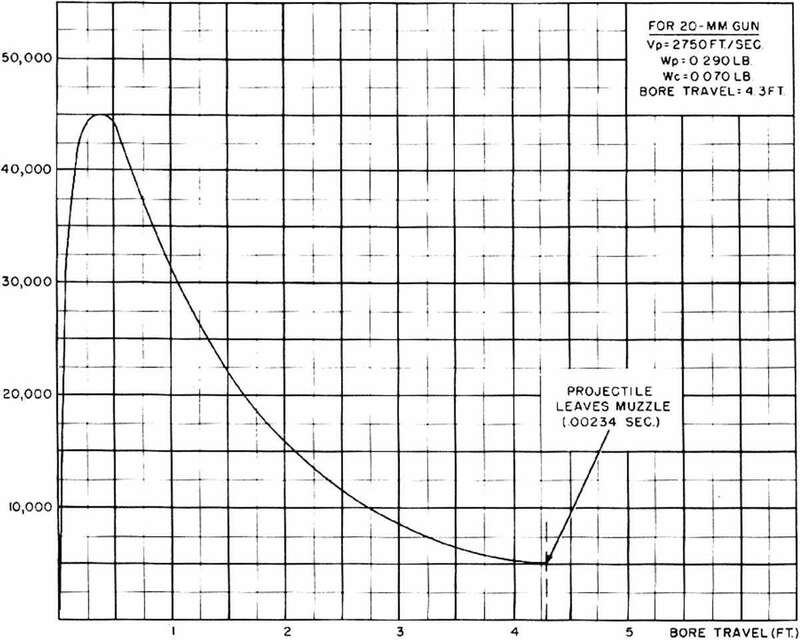 Graph Showing Variation of Chamber Pressure With Bore Travel of Projectile. tor or by a pneumatic device operating off a source of high pressure air. In most cases, this is done in order to simplify the gun mechanism by eliminating the devices which would be required to obtain the energy for feeding from the gun itself. Sometimes the use of external energy for feeding is resorted to so that excessive operating energy will not be extracted from of electrical energy . 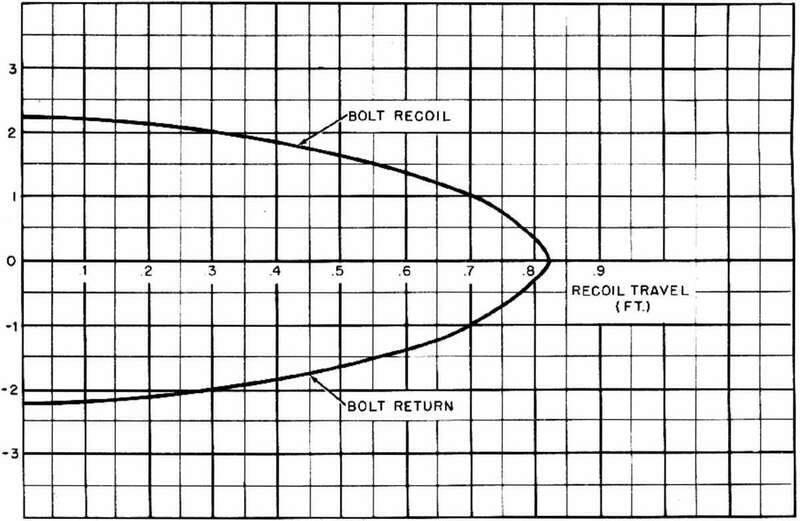 The charging of the weapon is another function which is performed by means of energy provided from outside of the gun itself. The charging device may be powered manually or pneumatically and in the type of device called a percussion charger or cartridge charger, the power for charging is supplied by the discharge, of a blank cartridge of small caliber.